I am a white male living in a society largely designed by white males for the benefit of white males. As such, I am a member of history’s most privileged group, a group that numbers no more than a few hundred million in a world inhabited by over seven billion human beings. What got me here, together with every other member of that group, was a toxic mixture of imperialism and colonialism. Not toxic for me, I hasten to point out, but toxic for billions of other human beings. It’s not necessary to point out how many first peoples suffered because of European expansion from the 15th through to the 20th centuries. Nor should we defend that expansion by referring to the benefits brought by the introduction of ‘Western’ inventions such as double-entry bookkeeping and modern farming methods, as if they were handed out by the Conquistadors and Australia’s first settlers at the same time as the distribution of smallpox and musket balls. Imperialism and colonialism also transformed slavery into a global business. The fact that Europeans didn’t invent slavery shouldn’t stop us acknowledging that developments such as double-entry bookkeeping helped Europeans perfect it, in the same way the musket ball helped perfect total war. In a very roundabout way that brings me to the topic of walking statues. Specifically, Rapa Nui’s moai – the monumental statues of Easter Island. Rapa Nui has been used as the example par excellence of ‘ecocide’, what happens to a society that selfishly exploits its own environment beyond recovery and thereby destroys itself. I swallowed without questioning this explanation for the island’s depopulation and deforestation, promoted in books like Jared Diamond’s Collapse: How Societies Choose to Fail or Survive. But it may not be true. University of Bristol researcher Catrine Jarman explains in her article in The Conversation, that many decades of archaeological research on Rapa Nui ‘paints a very different picture’. ‘The ecocide hypothesis centres on two major claims. First, that the island’s population was reduced from several tens of thousands in its heyday, to a diminutive 1,500-3,000 when Europeans first arrived in the early 18th century. Essentially, there is no convincing evidence that Rapa Nui’s population declined before first European contact in 1722. Furthermore, recent evidence suggests that the island’s population successfully sustained itself for centuries despite deforestation occurring soon after the island’s initial settlement by humans, deforestation caused by the accidental introduction of the Polynesian rat which ate palm nuts and saplings. So what did happen to the people of Rapa Nui? The disaster that befell the people of Rapa Nui came about because of the slave trade of the 18th and 19th centuries, itself a result of European imperialism and colonialism. Effectively, the victims of that depopulation subsequently were found guilty of the crime. If the forests weren’t cut down to move the moai, how did the islanders transport the statues from where they were made to where they were eventually sited? It turns out they probably moved them in the same way you or I would move a heavy washing machine or refrigerator … they walked them. Admittedly, this involved a great deal more human muscle power and coordination than two people clumsily angling white goods through a narrow corridor. Recent experiments show that this was perfectly possible. I can’t argue that imperialism and colonialism had no benefits. It benefitted me, for example. Without them I wouldn’t be here now, a middle-aged male living in middle-class splendour in Australia, a collection of ex-colonies. Nor can I argue against the proposal that the modern world is a direct result of those movements. Nor can I argue against the proposal that industrialisation and modernisation, two direct products of those movements, hasn’t improved the lot of billions of human beings over the last two centuries. What I can’t argue, however, is what Portland State University’s Bruce Gilley suggests in an article recently published in Third World Quarterly. An associate professor of political science, Gilley proposes that ex-colonies that develop their Western colonial legacy do better that those that reject that legacy. One of the examples he uses is the modern nation of Singapore. I suspect Gilley is wrong, especially in the case of Singapore where its success is almost entirely due to the self-created ‘Singapore model’, a mixture of democracy, authoritarianism and meritocracy that has delivered remarkable growth and one of the world’s highest standards of living. But I strongly believe Gilley has every right to express his academic opinion in an academic journal. As reported by Andy Ngo in Quillette, both Gilley and the journal’s editor-in-chief Shahid Qadir received threats of violence after the appearance of the article on 8 September, and the publishers of Third World Quarterly have withdrawn it. I recommend reading Ngo’s piece to get the full story. I do not think hate speech or speech inciting violence should ever be published, whether it is an article written for a journal, an opinion piece in a newspaper, or an enraged Tweet by an American president. But I do not think it is right to censure someone’s research because you disagree with its conclusion. In fact, that kind of thinking encourages hate speech and incites violence. Worse, ultimately, it shuts off debate, dialogue and intellectual curiosity. The problem for those who think that the evils of colonialism are so great that any defence of it is anathema and should be closed down is simply this: it allows history to be written by those who shout the loudest. It establishes a precedent, a precedent that may one day lead to the censorship of articles that explain why colonialism was wrong, and how the moai of Rapa Nui came to walk. 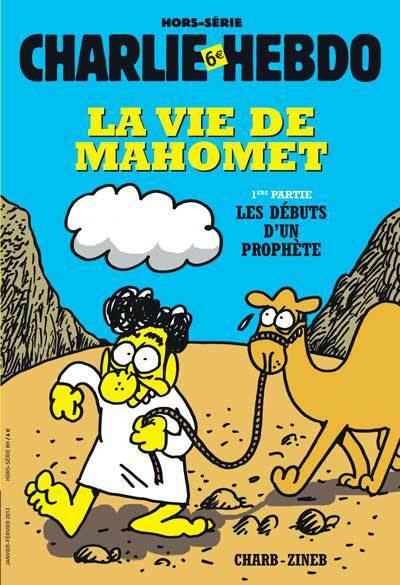 08 January 2015: Je Suis Charlie!